This is the manager's coaching companion to the agent's game plan, The On Track to Success in 30 Days System for the Experienced Agent. 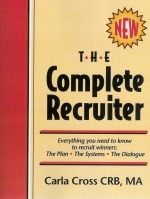 Purchase this coaching companion only if you already have the experienced agent's game plan. 2 audio CDs provide best coaching advice for managers. ‘Document CD’ includes 8 coaching documents, plus Excel spreadsheets to set goals and track your agents’ results. Save money: Buy your agents’ game plan, On Track to Success in 30 Days System for Experienced Agents for $100 each when you buy at least 5 at a time. The “Get Started Now” quick start one-page gives you the steps to take right now to start coaching your experienced agents today. Put this program to work without lots of study. On 2 audio CDs, Carla coaches you, ‘the coach’. On the document CD, Carla provides all the forms you need to track your agent’s progress, including two new Excel spreadsheets. I am a trainer with C. Dan Joyner, and I want to tell you how great the On Track products are. We took one chapter per week and used it as a guide to facilitate group discussions. For some, what began as a class where they had to attend, ended with a ‘WOW... I really learned a lot’. Thanks for the material, Carla! 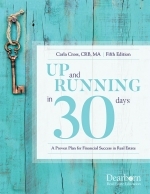 I’m using On Track to Success in 30 Days as a training and coaching tool. My agents have increased their production dramatically, and are begging to get into this process. I just got my On Track System and immediately used the chapter on attitude for a sales meeting. My agents loved it!